Located on the picturesque Sarasota bayfront, the Royal St Andrew condominium is right across from the Bayfront Park and Marina Jack’s. This 15 story high-rise building is within walking distance to the heart of the downtown commercial district, cafes, coffee shops, and restaurants and entertainment options on Main Street. The Marie Selby Botanical Gardens, art galleries and design centers of Palm Avenue are also just a short walk. Located on Gulfstream Avenue and built in 1969, the Royal St Andrew recently underwent an upgrade which includes a new lobby and a new community room where owners can socialize. There is a heated community pool and spa too. Other amenities include security, on-site maintenance, and an exercise facility. Many owners have renovated their condos to standards sought in today’s buyers. 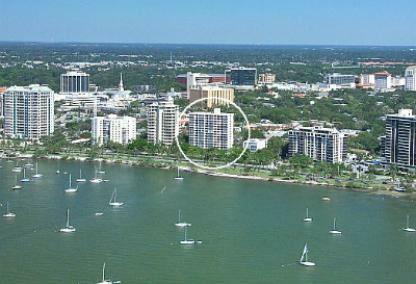 Some units provide exquisite views of Sarasota Bay and the Gulf of Mexico, as well as incredible sunsets.